A little new park at Main St. and 18 Avenue with no name. You can read more about the park here on the Park Board website. The park is also home to a work of public art which is designed by Gisele Amantea, “The Main St. Poodle”. You can read more about the artist and the project here .The Main St. Poodle also has inspired a Twitter account, @MainStPoodle, which is has a very caustic sense of humour and is worth a follow. Here are some more photos of the park here. 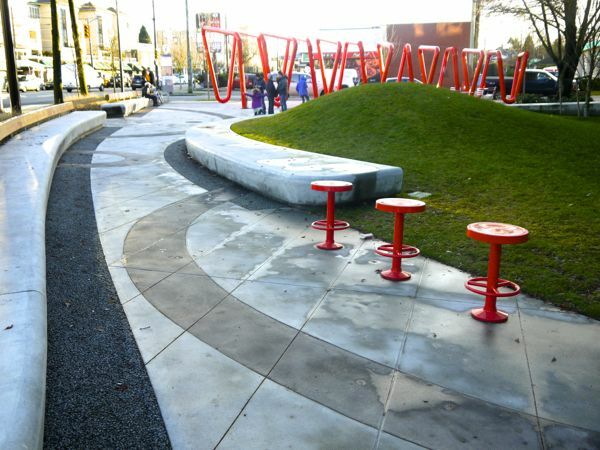 Categorized under: Landscape Arthitecture, Photos, public art, Vancouver Park Board. Tagged with: "the Main St. Poodle", Gisele Amantea, public art, public space.